Displaying results 1 to 10 of 465. Jones, Barry Owen (1932– ). Australian politician, writer and lawyer, born in Geelong. Educated at Melbourne University, he was a public servant, high school teacher, television and radio performer, university lecturer and lawyer before serving as a Labor MP in the Victorian Parliament 1972–77 and the Australian House of Representatives 1977–98. He took a leading role in reviving the Australian film industry, abolishing the death penalty in Australia, and was the first politician to raise public awareness of global warming, the ‘post-industrial’ society, the IT revolution, biotechnology, the rise of ‘the Third Age’ and the need to preserve Antarctica as a wilderness. In the Hawke Government, he was Minister for Science 1983–90, Prices and Consumer Affairs 1987, Small Business 1987–90 and Customs 1988–90. He became a member of the Executive Board of UNESCO, Paris 1991–95 and National President of the Australian Labor Party 1992–2000, 2005–06. He was Deputy Chairman of the Constitutional Convention 1998. His books include Decades of Decision 1860– (1965), Joseph II (1968), Age of Apocalypse (1975), and he edited The Penalty is Death (1968). Sleepers, Wake! : Technology and the Future of Work was published by Oxford University Press in 1982, became a bestseller and has been translated into Chinese, Japanese, Korean, Swedish and braille. The fourth edition was published in 1995. Knowledge Courage Leadership, a collection of speeches and essays, appeared in 2016. He received a DSc for his services to science in 1988 and a DLitt in 1993 for his work on information theory. Elected FTSE (1992), FAHA (1993), FAA (1996) and FASSA (2003), he is the only person to have become a Fellow of four of Australia’s five learned Academies. Awarded an AO in 1993, named as one of Australia’s 100 ‘living national treasures’ in 1998, he was elected a Visiting Fellow Commoner of Trinity College, Cambridge in 1999. His autobiography, A Thinking Reed, was published in 2006 and The Shock of Recognition, about music and literature, in 2016. In 2014 he received an AC for services ‘as a leading intellectual in Australian public life’. ‘Thank you for your order, Mr Mainframe Customer. The cost is £5 million and the lead-time for manufacture will be two years. In the meantime you will have to build a special computer centre to our specification. For our part, our project team will help you recruit and train potential programmers and we shall advise on how you might use the system.’ How different from today when the customer will want to see a specific application running before he puts a hand in his/her pocket. 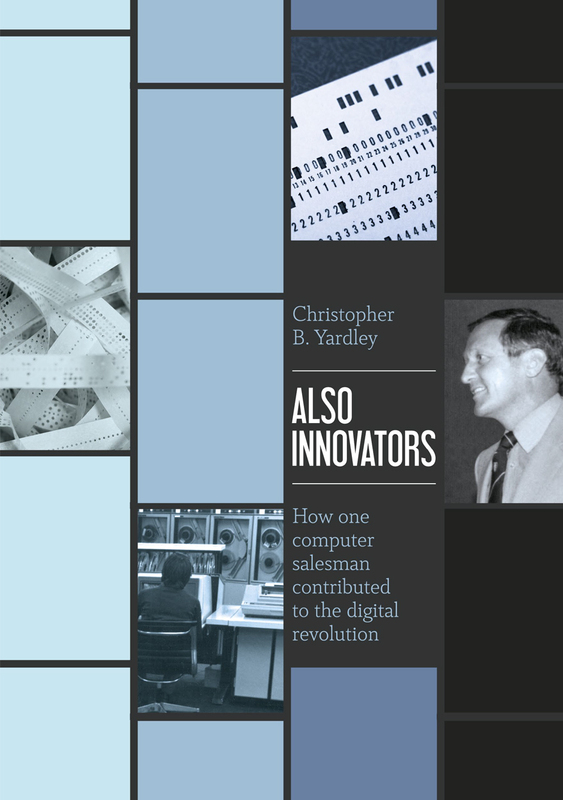 Chris Yardley lived the changes as a computer salesman and tells his story of a career living and working in five countries. Warts and all. The ecstasies, the heartbreaks and idiocies of major corporations. His career was not a planned one. In a growing industry, opportunities presented themselves and Chris believes he grasped every one presented. Having written his story, he has had every chapter verified by at least one person who features in that narrative. His respondents have universally endorsed the facts with comments such as ‘Wow, I’d forgotten most of that’. ‘You have a fantastic memory.’ ‘I never knew before the full facts of what happened.’ ‘How have you remembered all the circumstances?’ ‘It really is a people business.’ This is the only book that has followed a computer sales career over almost 50 years. International Review of Environmental History takes an interdisciplinary and global approach to environmental history. It encourages scholars to think big and to tackle the challenges of writing environmental histories across different methodologies, nations, and time-scales. The journal embraces interdisciplinary, comparative and transnational methods, while still recognising the importance of locality in understanding these global processes. The journal's goal is to be read across disciplines, not just within history. 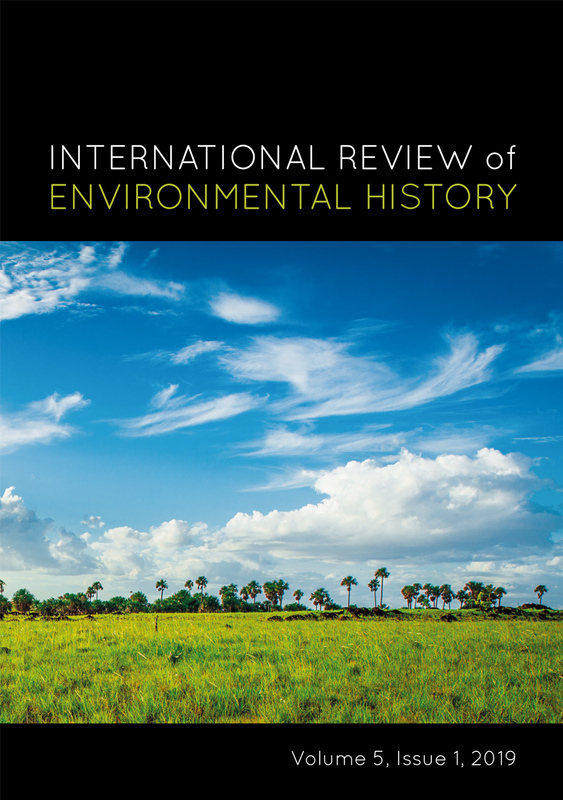 It publishes on all thematic and geographic topics of environmental history, but especially encourage articles with perspectives focused on or developed from the southern hemisphere and the ‘global south’. 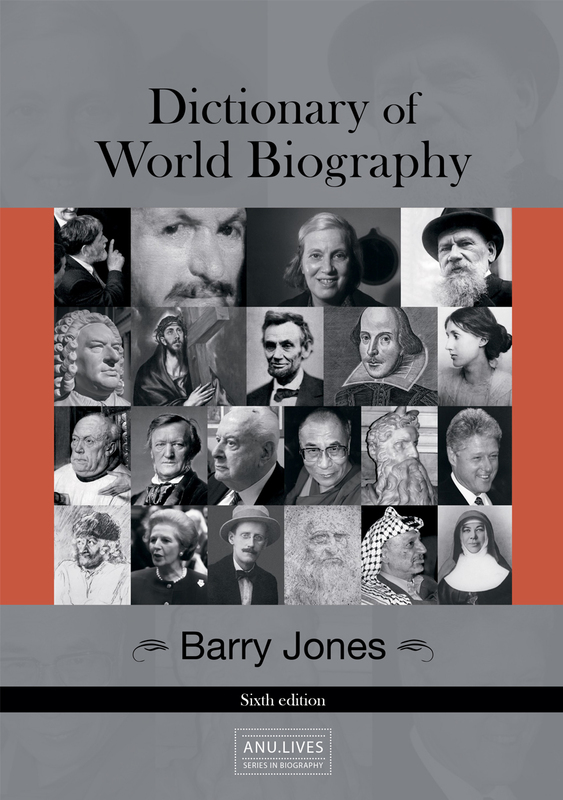 Dictionaries of national biography are a long-established and significant genre of biographical and historical writing, existing in many forms across the globe. 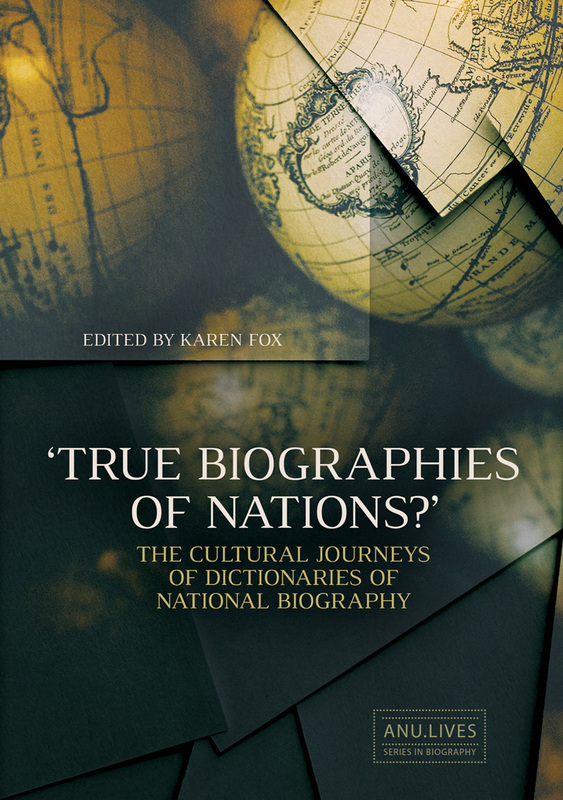 This book brings together practitioners from around the English‑speaking world to reflect on national biographical dictionary projects’ recent cultural journeys, and the challenges presented to them by such developments as the transition to a digital environment, a new alertness to the need to represent diversity, and the rise of transnationalism. Exploring their paths forward, the chapters of this book collectively make a powerful argument for the continued value and importance of large‑scale collaborative biographical dictionary research. In 2018, the People’s Republic of China (PRC) was, by most measures, more powerful than at any other time in its history and had become one of the most powerful countries in the world. Its economy faced serious challenges, including from the ongoing ‘trade war’ with the US, but still ranked as the world’s second largest. Its Belt and Road Initiative, meanwhile, continued to carve paths of influence and economic integration across several continents. A deft combination of policy, investment, and entrepreneurship has also turned the PRC into a global ‘techno-power’. It aims, with a good chance of success, at becoming a global science and technology leader by 2049 – one hundred years from the founding of the PRC. 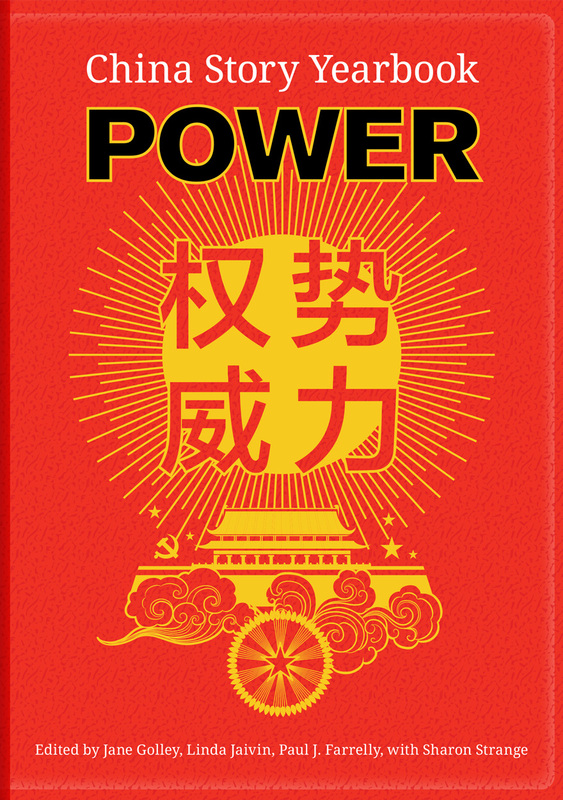 In surveying the various ways in which the Party-state wields its hard, soft, and sharp power, the China Story Yearbook: Power offers readers a sense of the diversity of power at work both in China and abroad. Citizens of the PRC have long negotiated the state’s influence; increasingly, diaspora communities and other actors are now being subject to its might. As with previous editions in the series, we place important developments in historical context, and adopt a cross-disciplinary approach: it is our view that economy and politics cannot be divorced from culture, history, and society. The Yearbook provides accessible analysis of the main events and trends of the year and is an essential tool for understanding China’s growing power and influence around the world. Mickey Dewar made a profound contribution to the history of the Northern Territory, which she performed across many genres. She produced high‑quality, memorable and multi-sensory histories, including the Cyclone Tracy exhibition at the Museum and Art Gallery of the Northern Territory and the reinterpretation of Fannie Bay Gaol. Informed by a great love of books, her passion for history was infectious. 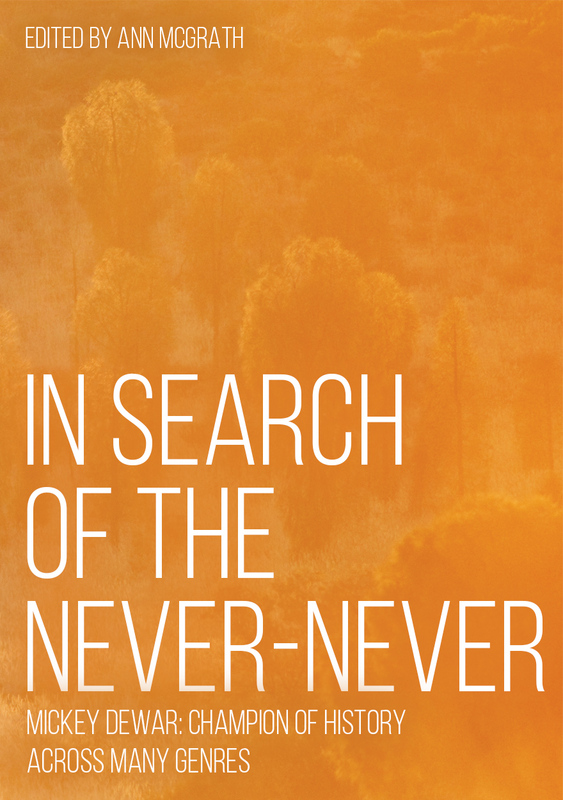 As well as offering three original chapters that appraise her work, this edited volume republishes her first book, In Search of the Never-Never. In Dewar’s comprehensive and incisive appraisal of the literature of the Northern Territory, she provides brilliant, often amusing insights into the ever-changing representations of a region that has featured so large in the Australian popular imagination. Afterlives of Chinese Communism comprises essays from over fifty world- renowned scholars in the China field, from various disciplines and continents. 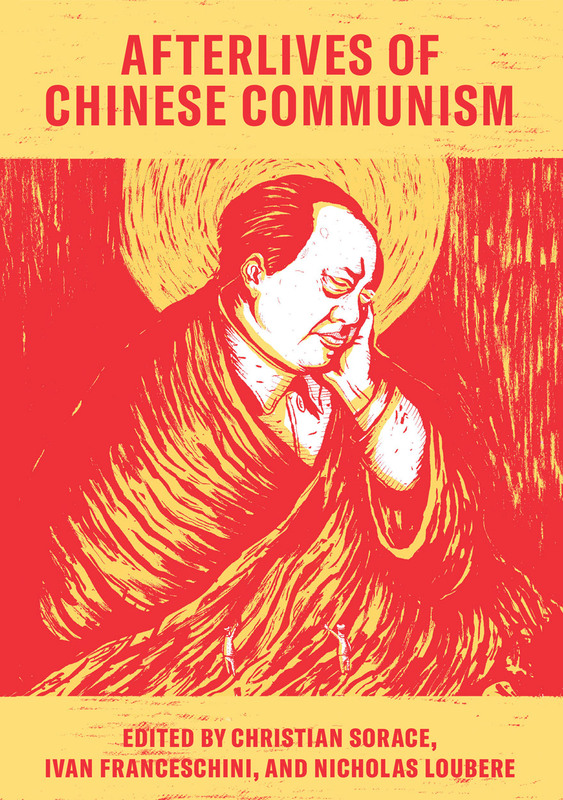 It provides an indispensable guide for understanding how the Mao era continues to shape Chinese politics today. Each chapter discusses a concept or practice from the Mao period, what it attempted to do, and what has become of it since. The authors respond to the legacy of Maoism from numerous perspectives to consider what lessons Chinese communism can offer today, and whether there is a future for the egalitarian politics that it once promised. Open hostilities in the Korean War ended on the 27th of July 1953. The armistice that was signed at that time remains the poignant symbol of an incomplete conclusion – of a war that retains a distinct possibility of resuming at short notice. So what did Australia contribute to the Korean War from June 1950 to July 1953? What were the Australians doing there? How significant was the contribution and what difference did it make? What has that meant for Australia since then, and what might that mean for Australia into the future? Australians served at sea, on land and in the air alongside their United Nations partners during the war. They fought with distinction, from bitterly cold mountain tops, to the frozen decks of aircraft carriers and in dogfights overhead. 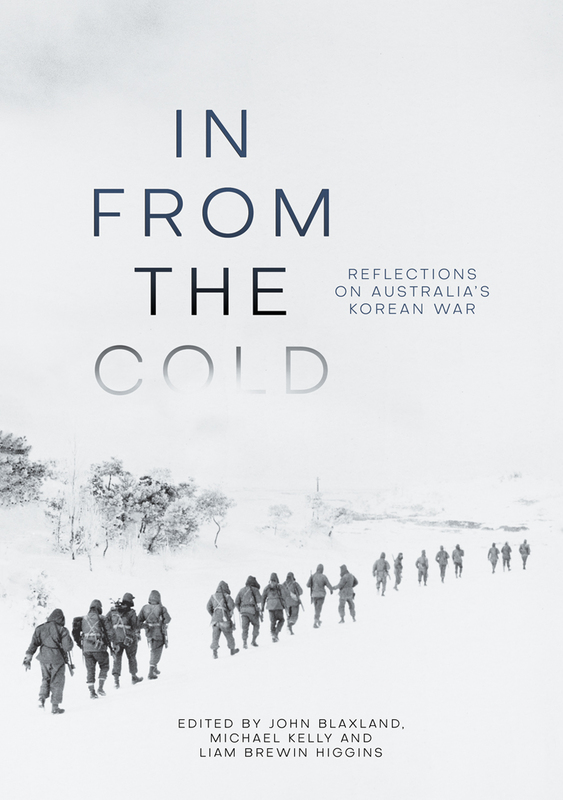 This book includes the perspectives of leading academics, practitioners and veterans contributing fresh ideas on the conduct and legacy of the Korean War. International perspectives from allies and adversaries provide contrasting counterpoints that help create a more nuanced understanding of Australia’s relatively small but nonetheless important contribution of forces in the Korean War. The book finishes with some reflections on implications that the Korean War still carries for Australia and the world to this day. 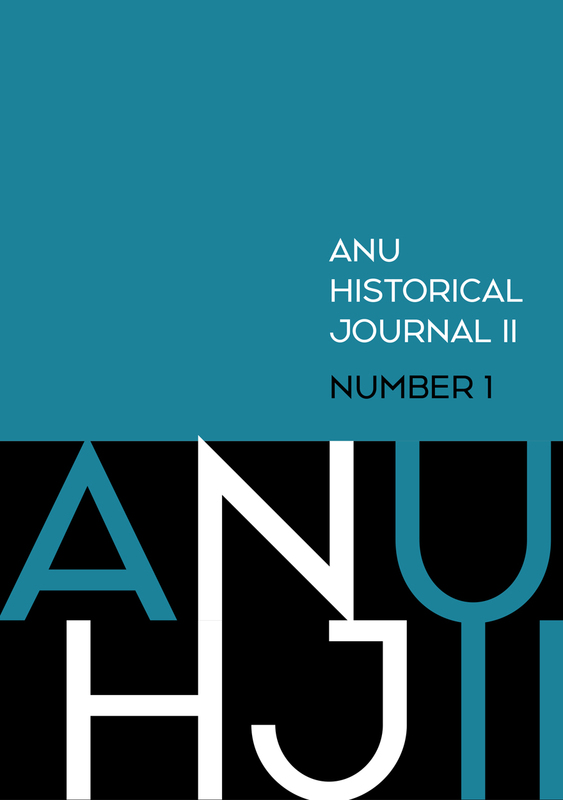 The first issue of the revived ANU Historical Journal (ANUHJ) follows in the footsteps of its predecessor, bringing together the writing and research of several generations of Australian historians in a single volume. It begins with seven short memoirs from the editors and contributors of the ANUHJ (1964–87), which together offer an extraordinary window on to the student history of the ANU in the 1960s and 1970s. Following the memoirs, the articles in this issue consider the symbolism of the early Aboriginal Tent Embassy; Louisa Lawson’s involvement in Australia’s suffrage movement through her magazine The Dawn; the changing meanings of barn swallow migration in Europe; how the sexuality of Frederick the Great can shine further light on our understanding of Prussian masculinity; the recent public apologies of two prominent leaders of the Lebanese Civil War: Assad Shaftari and Samir Geagea; evangelical humanitarian discourse in the Australian colonies; and the cultural and religious diversity engraved on one Sicilian tombstone. Elsewhere, contributors contemplate the place of national history amid the rise of transnational and global history, and review some of the leading Australian titles that were published last year. In his day, Raphael Cilento was one of the most prominent and controversial figures in Australian medicine. As a senior medical officer in the Commonwealth and Queensland governments, he was an active participant in public health reform during the inter-war years and is best known for his vocal engagement with public discourse on the relationship between hygiene, race and Australian nationhood. 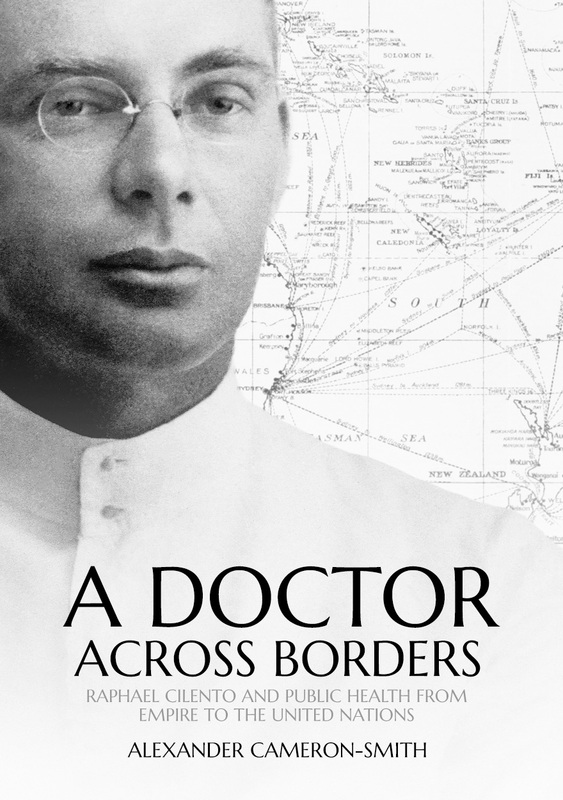 Yet Cilento’s work on tropical hygiene and social welfare ranged beyond Australia, especially when he served as a colonial medical officer in British Malaya and in the Mandated Territory of New Guinea. He also worked with the League of Nations Health Organization in the Pacific Islands and oversaw international social welfare programs for the United Nations. On one level, this professional mobility allowed ideas and practices of public health and government to circulate between colonial spaces of northern Australia, the Pacific Islands and Asia. On another, it meant that Cilento’s Pacific colonialism and colonial experience shaped his understanding of Australian national health and welfare. Rather than attempt a comprehensive biography of Cilento, this book instead uses this border-crossing career as a means to explore several material and discursive facets of Australia’s relationships to the Pacific and the world.